21 treble buttons, 3 voices with one stop allowing 2 different sounds : either or . 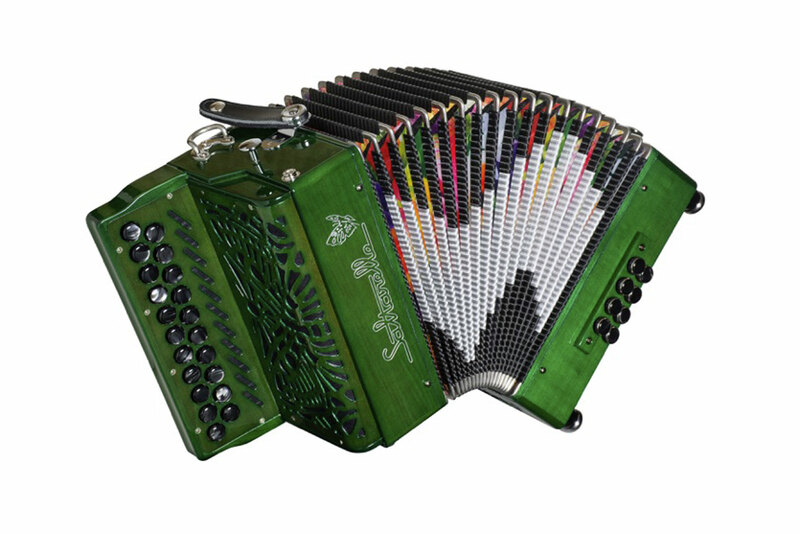 Our latest extra small accordion for Irish music. 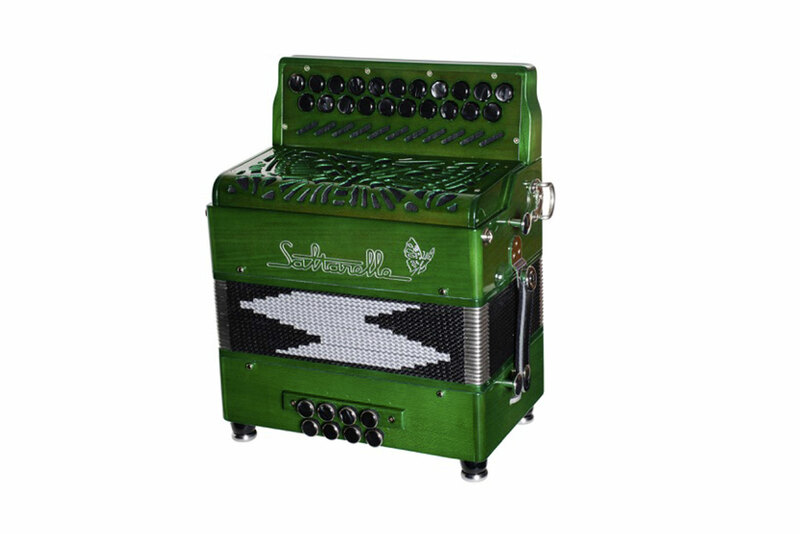 It was designed with and for Sharon Shannon. Also available in natural cherry wood. The smallest 21/8 3 voices accordion with flat keyboard ever !